I’ve always been a communicator of energy. That means that I look to see what everyone and everything around me is trying to express. My job is as a spiritual translator. I have translated for people and animals but, it never dawned on me to talk to plants. Yes, I realize that people do communicate with their plants, but I’ve never owned enough plants long enough to be in that position. If you’ve read my memoir, Medium Rare, than you know that both my grandmother (my father’s mother) and my own mom, had a little rose garden and big green thumbs. I had hoped the same would be for me as I love flowers and plants. I moved around a lot and so my experience was often quite different. I would get beautiful plants and they never lasted long under my care. I resigned myself to having friends keep them alive and thriving for me and never thought anything more about it, until this morning. Recently, I moved into a charming home that has been lovingly renovated. The back of the house is a large double yard that will flourish with even more beauty when spring comes, and I’ll need to be involved in it’s maintenance and care. While that is overwhelming to me, I also know how grounding garden work is, both spiritually and physical. Though I have hired a gardener, I look forward to being involved. So, people have been gifting me with plants since I moved here. I realized that they will need daily attention, and so I’ve made watering part of my morning routine. This morning seemed no different for me with them until I found myself addressing the plant in my hand. Said plant didn’t look well. I pinched off the dead flowers and remembered that my friend has thought the plant would like it better by the kitchen window, and had moved it there yesterday. “You don’t like that we moved you? 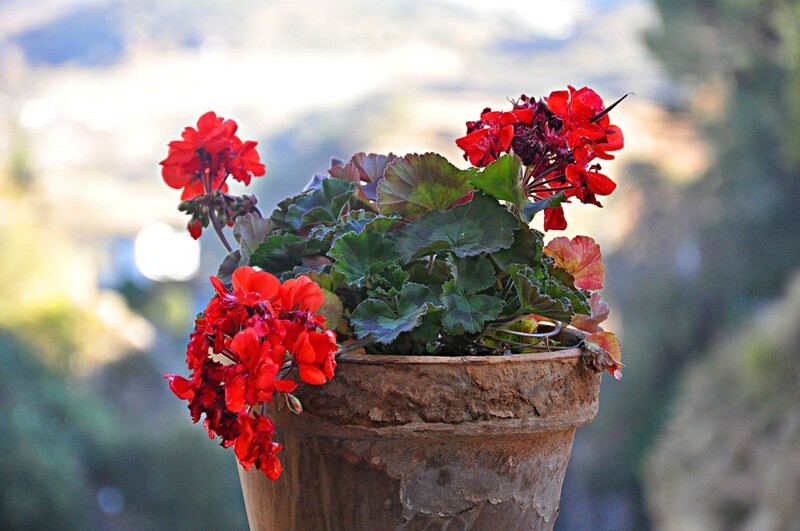 There’s more sun here,” I found myself saying to the small potted plant in my hands. “Do you want to go back into the office where you were, next to your buddy? I asked while walking to the next room. There was something about it’s energy that made me realize that I was communicating and should listen to the stillness. I placed the plant down and watched it come alive in a lovely yellow. It was then that I added plant communication to my repertoire, and vowed to experiment like this more often. I realize this is not new for many people reading it, but it was an epiphany for me!